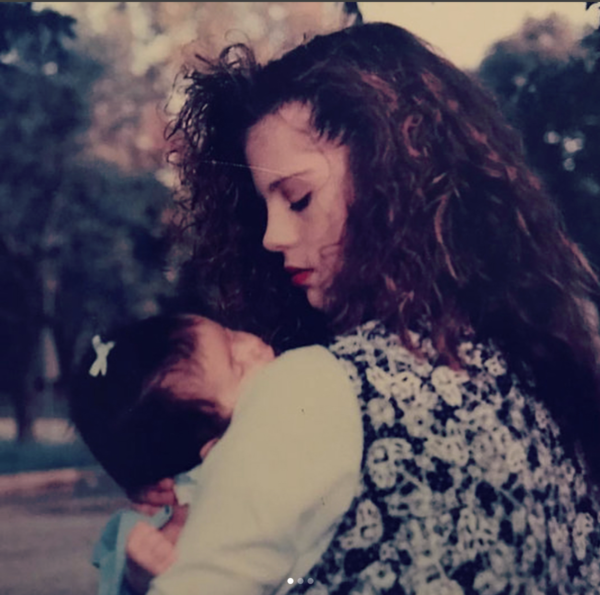 Content warning: This post discusses the loss of a baby: Singer Selena Gomez’s mum, Mandy Teefey, has shared a little more about the very sad experience of losing a baby. Posting on the 18th December, six years after she endured her miscarriage, Mandy shared some photos and opened up a little about the pain of this terrible loss. She thanked fans for their gestures of sympathy and kind words. Mandy and husband Brian had called their baby Scarlett, and her post explained their daughter was still a hugely important part of their family, and always with them. Mandy’s also mum to four-year-old Grace, and she went on to describe a ritual their family had undertaken this year in memory of their daughter. “Thank you to all the fans who honored our Scarlett yesterday. December 17th will never be the same, but we decided to celebrate her by writing her letters on red balloons and releasing them,” Mandy wrote. In Australia, one in four pregnancies end in miscarriage, yet despite these terribly high numbers, stigma still surrounds this kind of loss. Women like Mandy opening up about their experiences helps us to better understand the pain of miscarriage, and helps others who have endured the loss of a baby feel less alone. It’s also pretty amazing that Selena’s young fans have (generally) been so sensitive to the family’s sadness. Mid-year, Mandy supported her eldest daughter through a kidney transplant. Selena’s bestie, The Secret Life of the American Teenager star Francia Raisa, donated her kidney to save her buddy’s life. It’s fair to say the family has had a stressful, but possibly galvanising year and it’s also proof that no matter how high-profile or privileged you may be, there are still hard-won challenges to struggle through. If you’ve experienced a miscarriage or the loss of a child, there is advice and support at hand. Get in touch with the people at SANDS as soon as you can. They can help you navigate this terrible time and help you better deal what you’re going through. Please don’t go it alone.